Thank you so much for keeping all of us here safe at MIT. The past, present, and future generations of MIT will never forget you. RIP. My deepest sympathies to Sean's family and the MIT community. A great loss for all of us. He would have been a fine addition to the Somerville Police Dept. The MIT Police havevalways been there for my colleagues and me. It's sad to think that my husband likely passed Officer Collier on his way out of the Stata garage at 9:30 PM on that horrible night, or how many times we may have seen him on any typical day. I don't know. It's an unmeasurable loss to MIT, his brother officers, his friends, and his family. I am so sorry that we've lost him. My deepest condolences to the Collier family, friends of Sean, and the MIT Community. We all send our deepest condolences and sympathies for Officer Collier's family and many friends. He was a brave and generous person. Thank you Sean for protecting us selflessly, and thank you to MIT PD. You will be missed. Dear Sean: Thank you for your selflessness and courage. We are inspired by your actions and will be forever grateful for your heroism. God bless you. My condolences go out to Sean's family and friends. As part of the MIT community I feel it my duty to reflect on this loss by speaking to the professionalism and friendly attitude portrayed by Sean in are few interactions here at MIT. This community as well as Boston as a whole has lost a great friend, neighbor, and policeman. Sean you will be missed by many more then you could have imagined. Stay Boston Strong! Up! each man the sad procession swell! With deepest condolences on the loss of your brother Sean. Your service will always be remembered and appreciated. Wish your family well. To Officer Sean's family, fellow officers, and friends. MIT is fortunate to have such dedicated professionals who serve and protect our community and make it the best place to work, learn, and live. We thank Sean for his service. I hope the outpouring of condolences and other signs of deep respect for him and for you will be of some comfort in the days ahead. The note below that I sent to my students and others illustrates how Sean's loss will be mourned and remembered by all of us in the days ahead. May this be a lesson for all the world to see and learn. Today, and in the days ahead, we will come together to give new meaning to President Reif’s call to be “One MIT.” The many comments of students who had gotten to know Officer Sean as a friend, peer, and respected professional are heart-warming and a tribute to him and to our community of one culture. By celebrating it as we grieve for Sean, his family, and for MIT we might just demonstrate the spirit of solidarity so badly needed in other parts of our society. 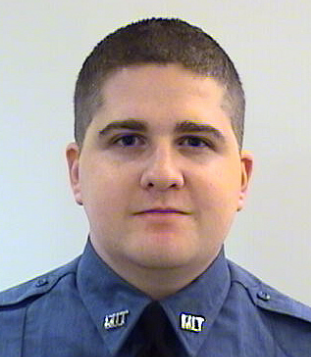 My heart is full of sorrow at losing Sean Collier and for his family who have lost a loved one. You are in my prayers always. With deepest gratitude for his sacrifice. I never knew you in person, although I do remember your friendly smile in the Infinite Corridor. May you rest in Peace and you will never be forgotten! Condolences to the family who lost their BraveHeart, their Hero, but most importantly, their child. We are so inspired by your actions. You will always be remembered for choosing to serve and protect the community and to put yourself in harms way so that the rest of us remain safe. Thank you. Thank you for your service, it will not be forgotten. My thoughts and prayers to your family. The MIT Police are the best, and you were one of the best of the best. Rest in peace, our friend. You are missed. Thank you so much for your courage and your hard work in protecting our campus. You will be missed. Sean gave everything and more than should ever be asked from a police officer. For this he has my enduring gratitude. My condolences to his family and the MIT police department. We will not forget him! The news was heartbreaking. My sincerest condolences to the Collier family. May Officer Collier rest in peace. I want to express how sorry I am that this terrible and senseless thing had to happen to you. Although I didn't know you, you will be missed. Sincere condolences to Sean's family and the MIT Police Department, as well as the rest of the many communities affected. Many parents of adult children place their trust in the MIT Police to keep them safe. Sean lived up to this trust in an exemplary manner, as do all the MIT Police Officers. You have our sympathy, and our renewed respect and gratitude for doing a job that puts your safety second to the safety of those you protect. happened to me in case I would have stayed just a little longer. Thank you!